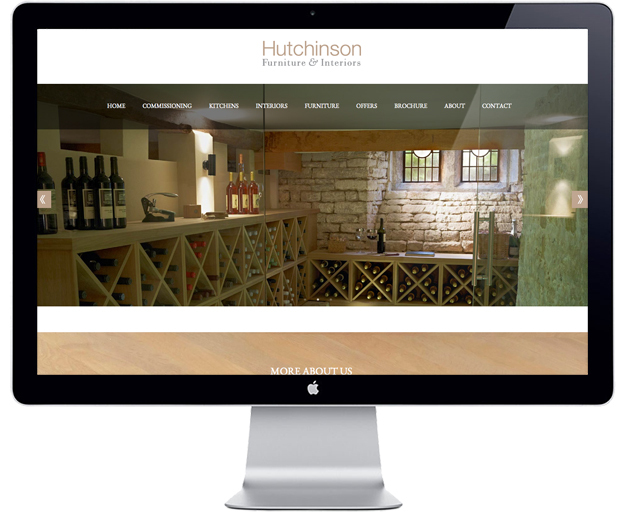 Established in 1991, Hutchinson Furniture and Interiors is situated in the heart of the Cotswolds. They pride themselves on creating furniture that respects its environment to offer the client a genuinely bespoke service. They help to create individual pieces or complete room sets to the exact requirements of their customers. 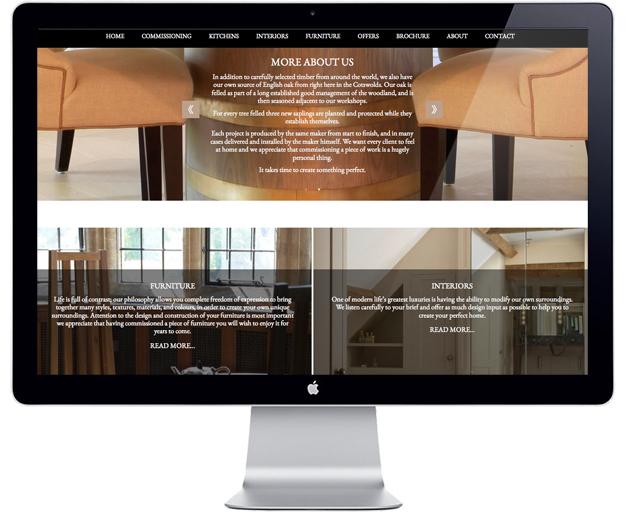 They were looking for an updated website that was clean, classy, traditional yet modern. 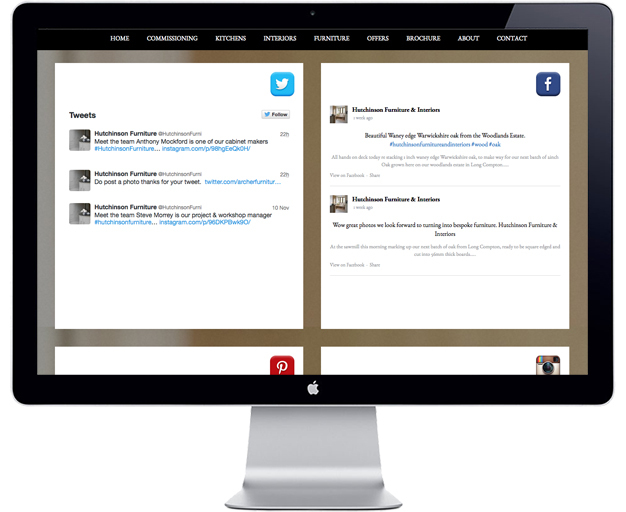 Ilona Design created a unique website design with custom-made icons and social media section, keeping colours muted and choosing a font that communicates their high-end country modern position in the market. 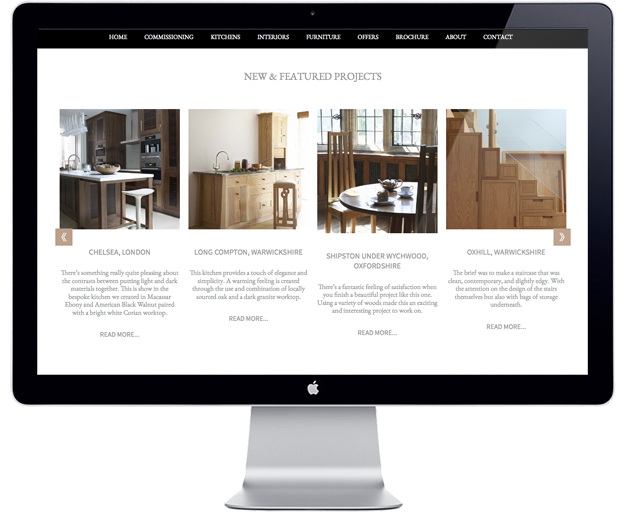 The Hutchinson Furniture website was designed with ERGO Ltd.